A ritual to help you look and feel your best throughout pregnancy and beyond. "I'm obsessed with the cleanser...smells amazing and takes everything off without stripping my skin." "So luxurious! Mamas, we deserve this!" "I absolutely love that the Purifying Cleanser makes my skin feel clean without a chemical smell or feeling...very gentle yet effective." "So silky...the texture of the souffle is amazing." 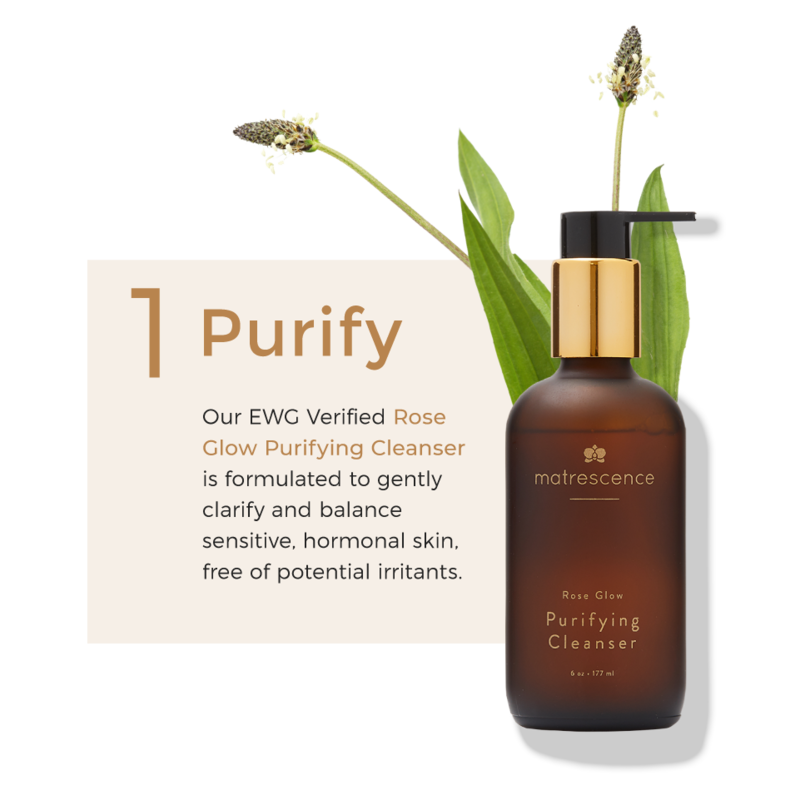 "Pure and natural...just the way skincare for moms should be." 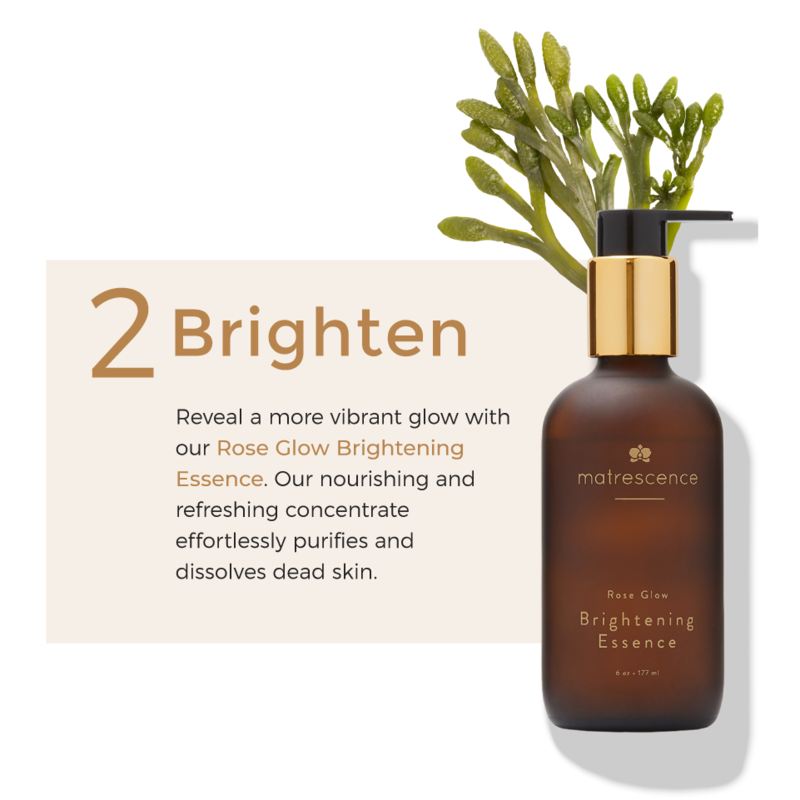 "...the Brightening Essence does just that, it really BRIGHTENS my skin. Talk about a natural pregnancy glow!" "...basking in all the glory of pregnancy glow!" Sample our Rose Glow Trio. Perfectly sized for gifting and getaways! Not just "natural". Not just "organic". SAFE for all stages of motherhood. 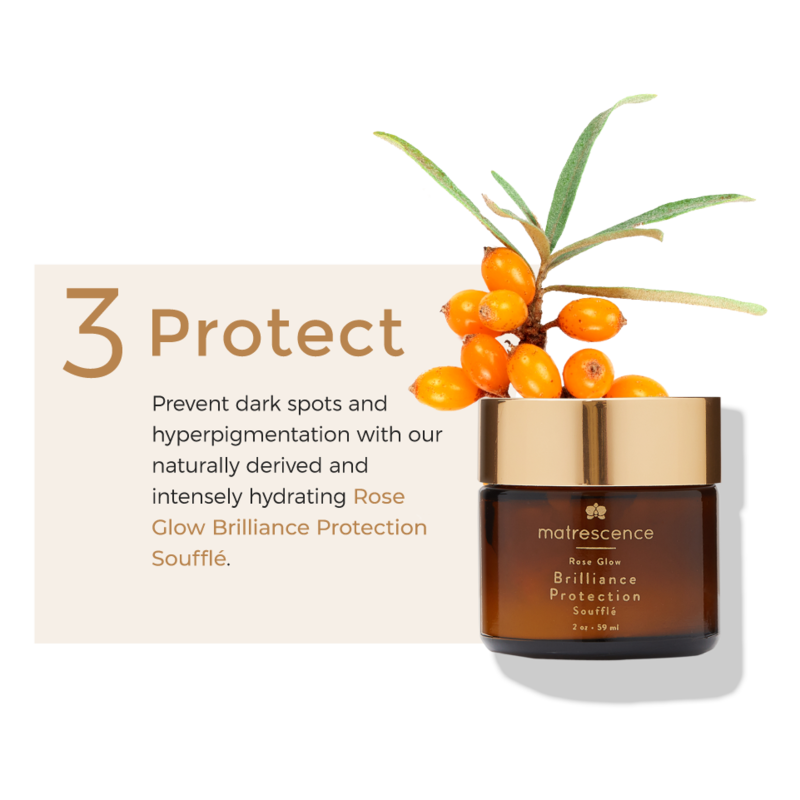 Rich, exotic botanical ingredients carefully sourced and selected for freshness, quality and potency. 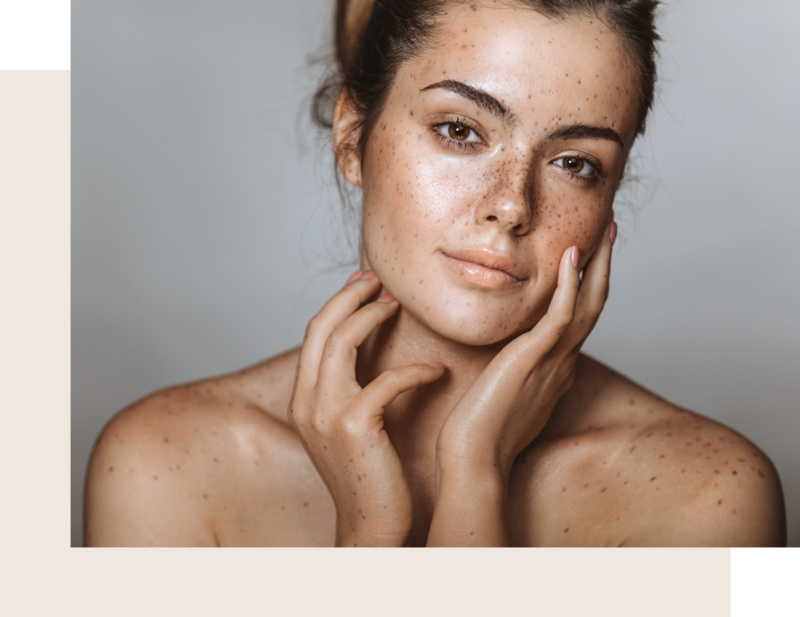 High-performance formulations address maternity specific issues for an all-natural glow. It takes a village to support a mother.